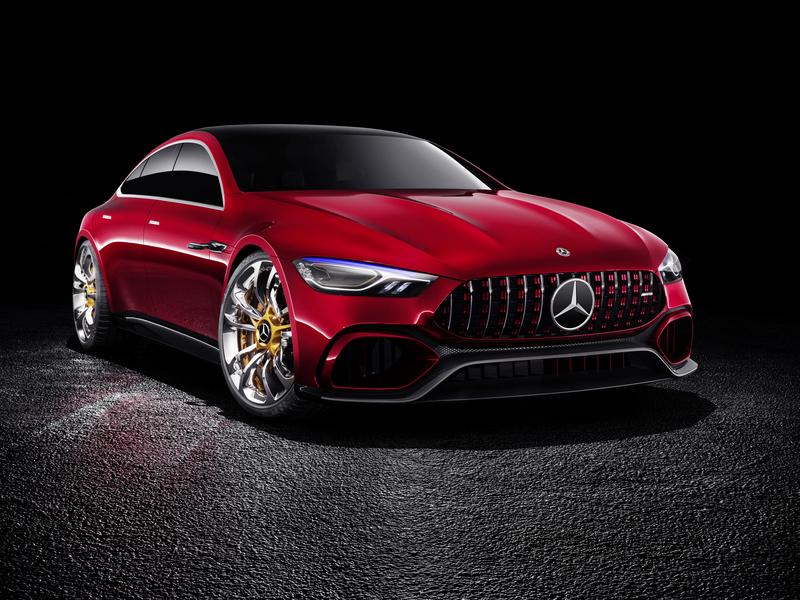 Mercedes-Benz unveiled its latest AMG-fettled GT Concept at this year’s Geneva motor show, promising some 805hp from a twin-turbocharged 4.0-litre V8 engine and electric motor system. 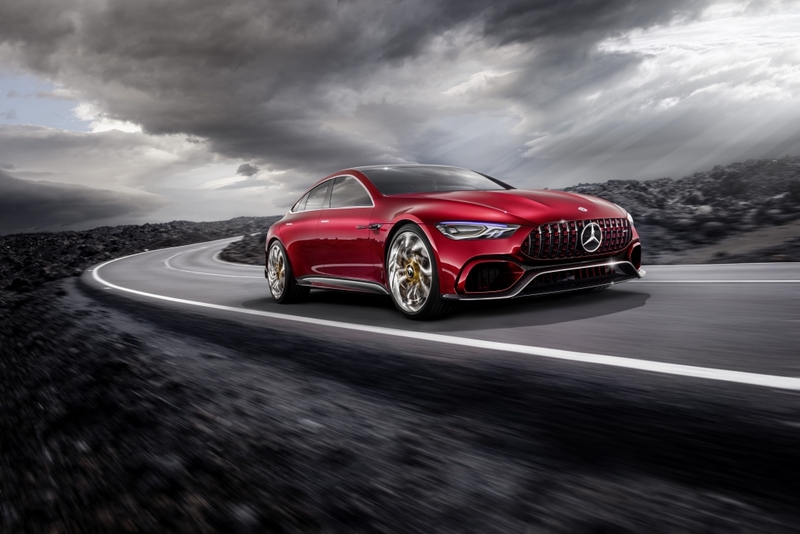 The four-door coupe builds on the marque’s existing AMG GT sports car with a completely new aluminium platform, a ‘Panamericana’ front grille and slashing LED tail lamps a the rear, as well as seating for four. 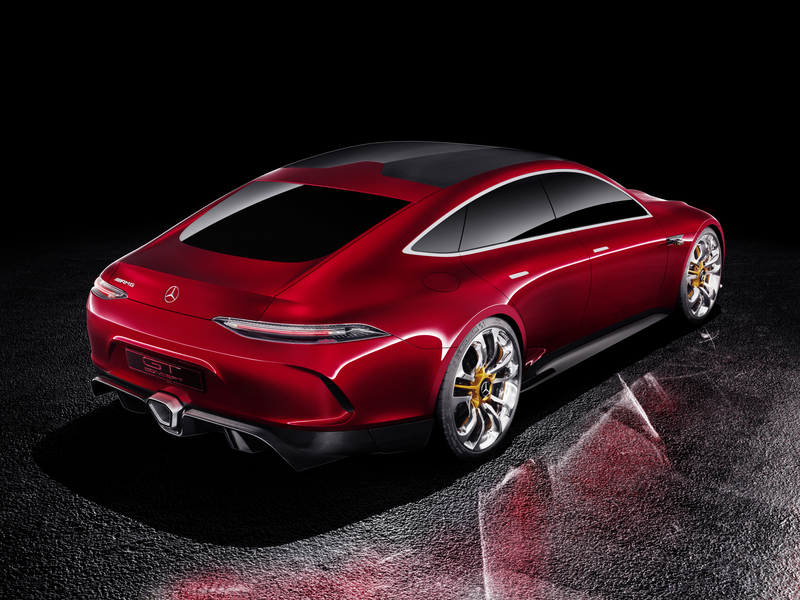 It is expected to go into production some time in 2019 but AMG chief Tobias Moers claims the model, “extends the attractive AMG GT family to include a four-door variant”. 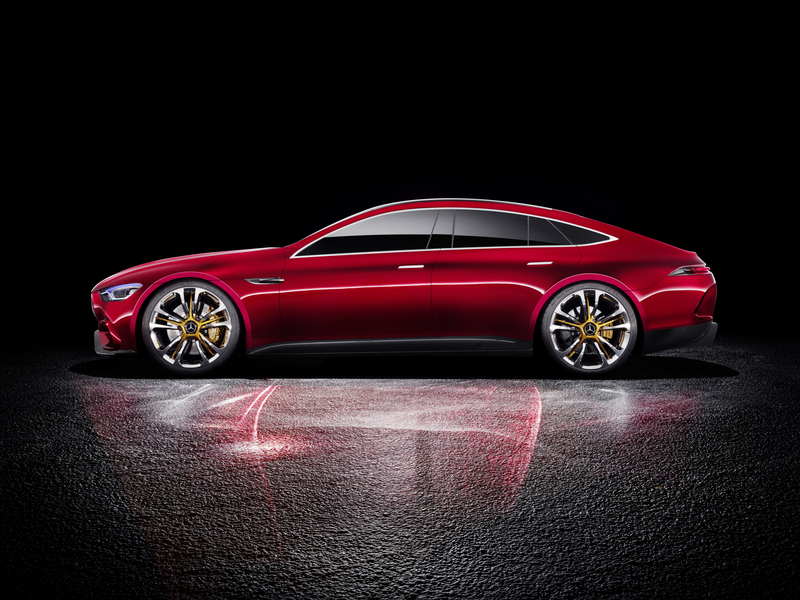 He added: “The GT Concept – like the AMG Hypercar, which we are presenting at the International Motor Show in Frankfurt – illustrates how we are defining performance of the future at AMG”. 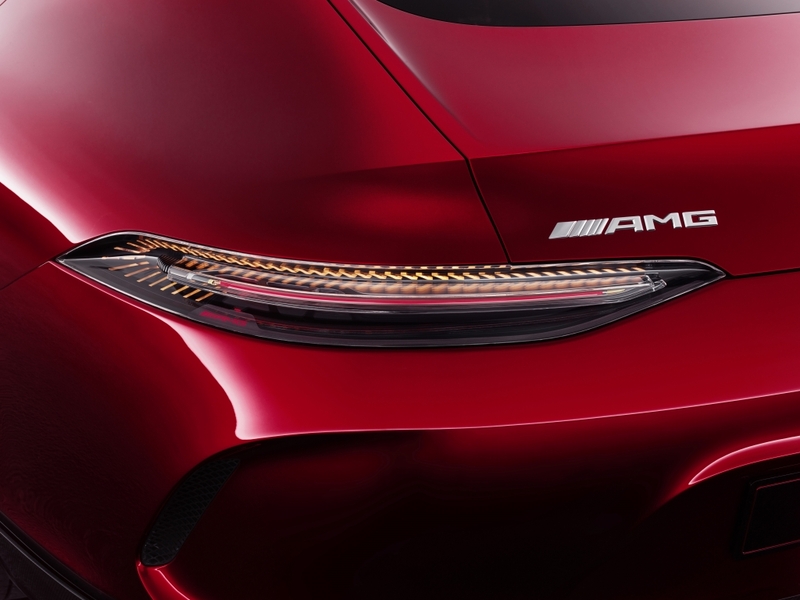 That future will include the “EQ Power+”moniker, which all performance hybrids from Mercedes-AMG will soon be be given, so jot it down because you will see a lot of it in the months to come. 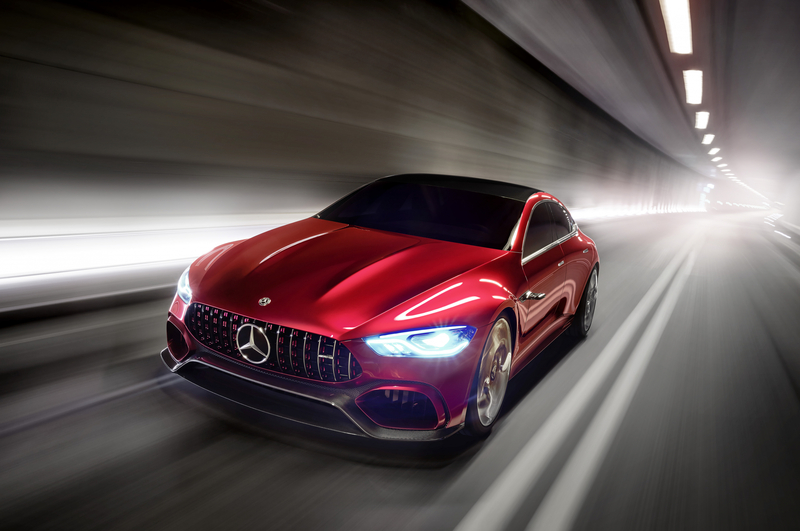 In short, the AMG GT Concept and other forthcoming models will borrow elements from the Mercedes Petronas Formula 1 racing team, including high performance batteries and advanced energy recuperation techniques to deliver mind-bending performance figures. Expect a 0-62mph sprint to take less than three seconds, yet the upcoming vehicles will be able to drive an impressive distance on electricity alone, as well as offering enticing fuel consumption and CO2 figures. However, it is the styling that has drawn compliments – and some derision (those wheels!) – from show-goers. 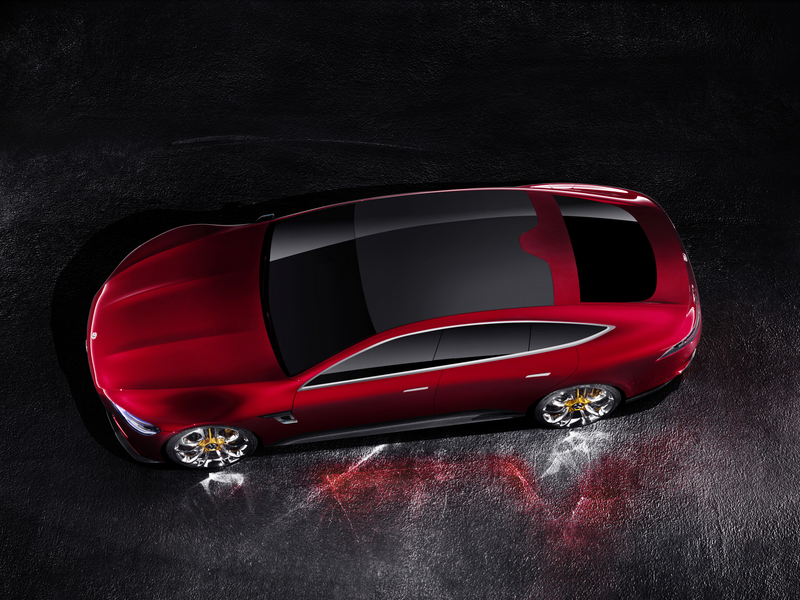 The swooping coupe silhouette results in a fresh and chunky rear end, which houses the thin horizontal lamps. The taillights feature new “nano active fibre technology”, which offers a three-dimensional lighting effect. 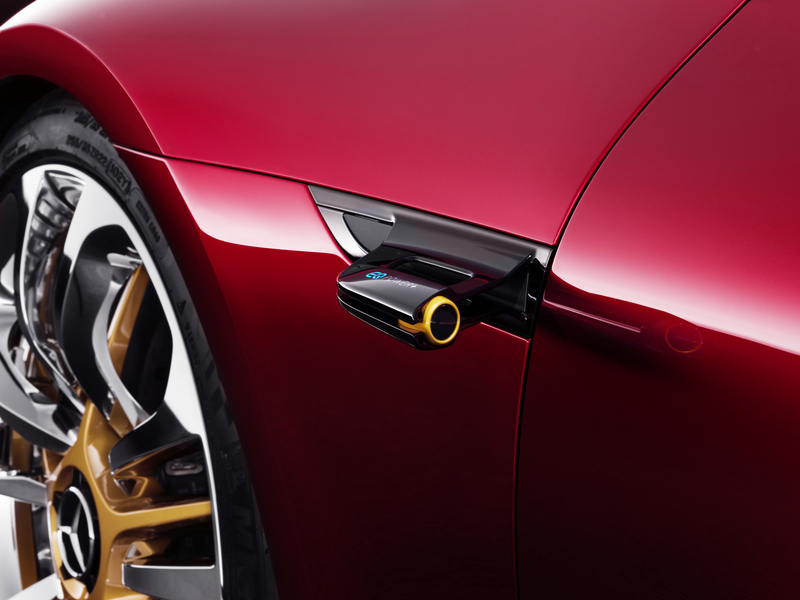 Even traditional wing mirrors have been replaced by small cameras, giving the AMG GT Concept a more flowing aesthetic. Completing the package is a whopping rear diffuser with centrally mounted exhaust that signal the sporting intent. It’s a similarly stylish story at the front, where the new Panamericana grille sits with its aggressive vertical slats and central splitter leading out to even more gaping air intakes and cutting edge lighting technology. 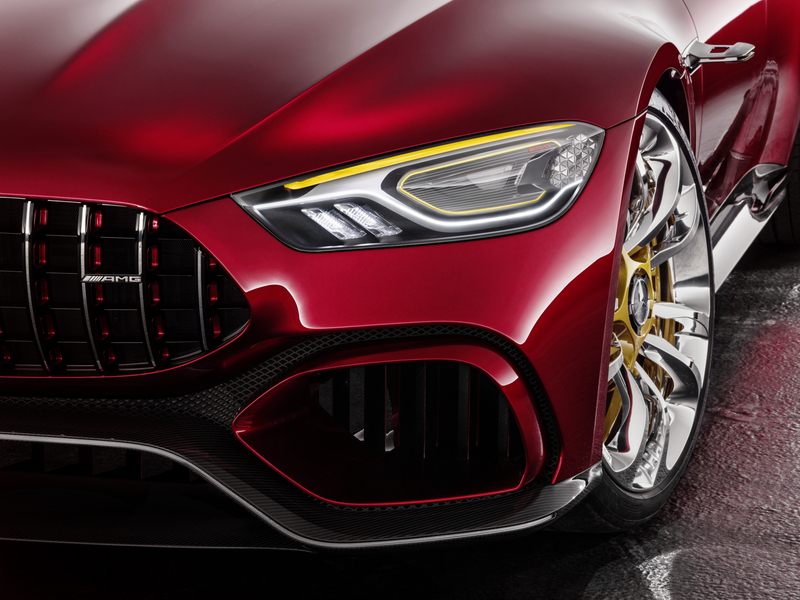 It looks a but like an angry Hannibal Lecter, while those trick front lamps manage to switch seamlessly between daytime running lights and strobing indicators thanks to technological advances. Naturally, potent performance will come as standard but Mercedes also promises practical boot space and comfortable seating for four. Could this be the perfect everyday wagon? We are looking forward to finding out. Raid the piggy bank. The price of Merc’s muscular super saloon has been announced.